To close out winter break and start off 2019, I visited College Station to explore one of the largest universities in the nation – Texas A&M. 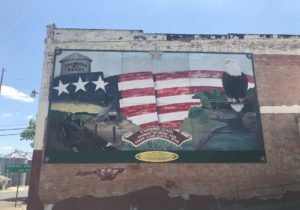 Having been to many of the institutions of higher education that make up our state, I wanted to see what comprised Aggieland, as well as to cross Brazos County off the list of counties yet to be visited. 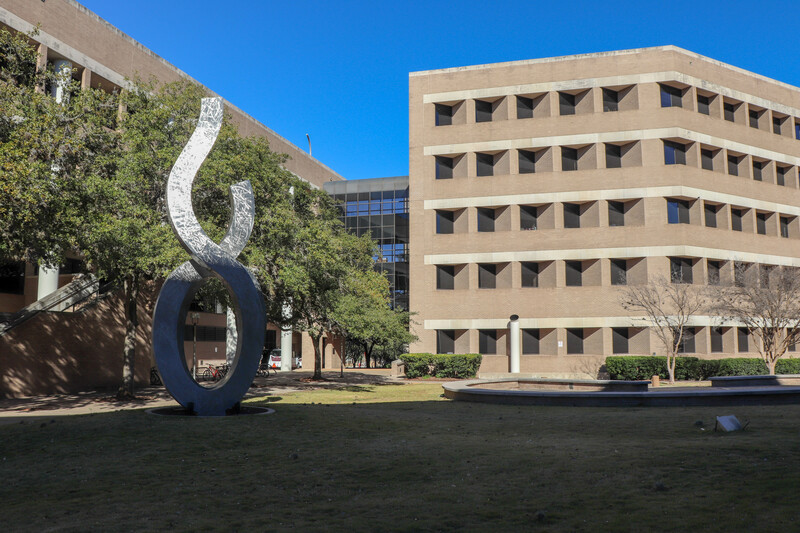 With a student body of over 68,000, the College Station campus is A&M’s flagship school in their system, which is made up of 11 different campuses. Texas A&M was established in 1871 as the Agricultural and Mechanical College of Texas, under the Morrill Act. 148 years later, this school is stronger than ever, with some $9.8 billion in endowments and 4,900 staff on the payroll. Additionally, A&M is also one of the largest college campuses in the nation, at over 5,000 acres. Upon arriving, I parked at the Cain Garage, located directly across from Kyle Field. Since it was the weekend, there weren’t many cars there, so spaces were plentiful on the first floor right by the entrance. Parking fees were still being collected, although it only amounted to $4 for the hour or so I spent here. The car now in a place where it wouldn’t be towed, I was ready to start seeing TAMU. My first stop along my walking tour was Kyle Field, the school’s ginormous football stadium. To give you an idea of what “ginormous” means in this context, Kyle Field is the fourth-largest stadium in the nation! Texas A&M’s ginormous football stadium, Kyle Field. Fourth-largest stadium in the country! All around the stadium, the saying “Home of the 12th Man” can be seen. This term dates back to 1922 when an Aggie by the name of E. King Gill suited up to help his team, who had sustained multiple injuries in a grueling game against Kentucky’s Centre College. Although he never ended up entering the field, the “12th Man” is representative of the A&M student body, who are willing to serve when duty calls. Duty and loyalty are common themes here, as I would see all throughout my visit. 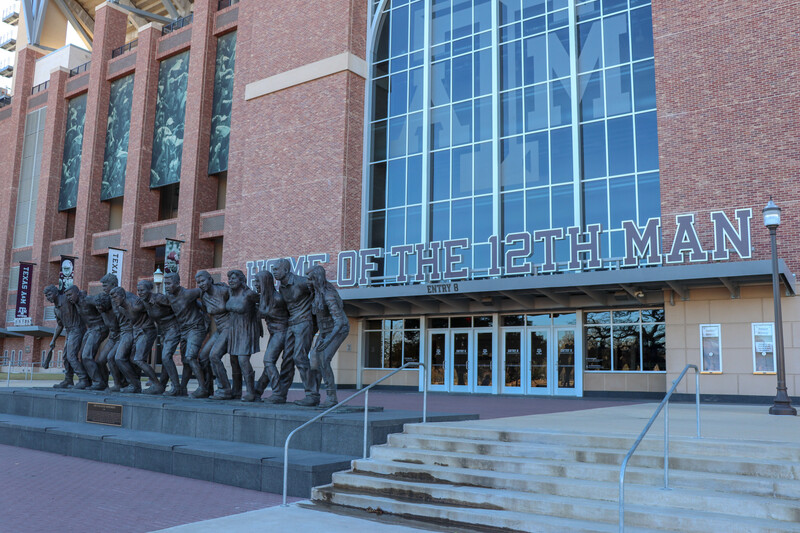 One of the entrances into Kyle Field. Several statues are displayed around the stadium. 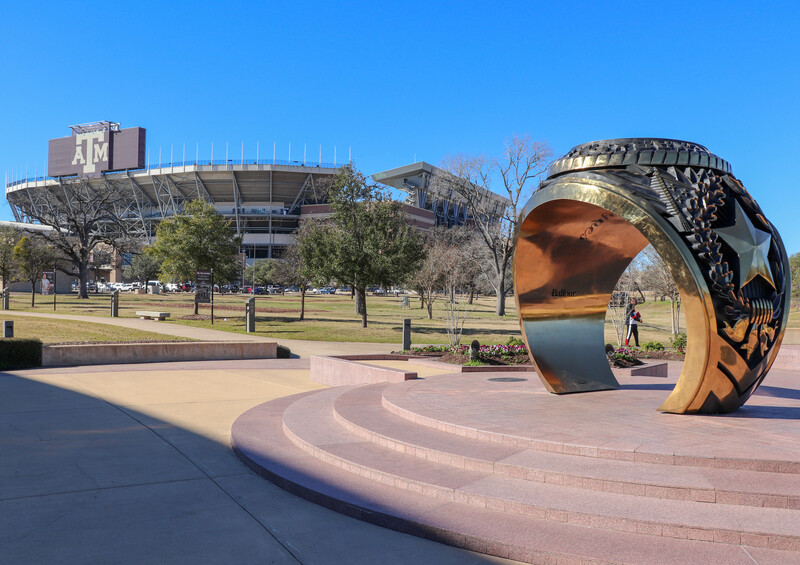 Past the stadium, around a five-minute walk away, was the Haynes Ring Plaza, home of a giant 12-foot replica of the iconic A&M class ring! 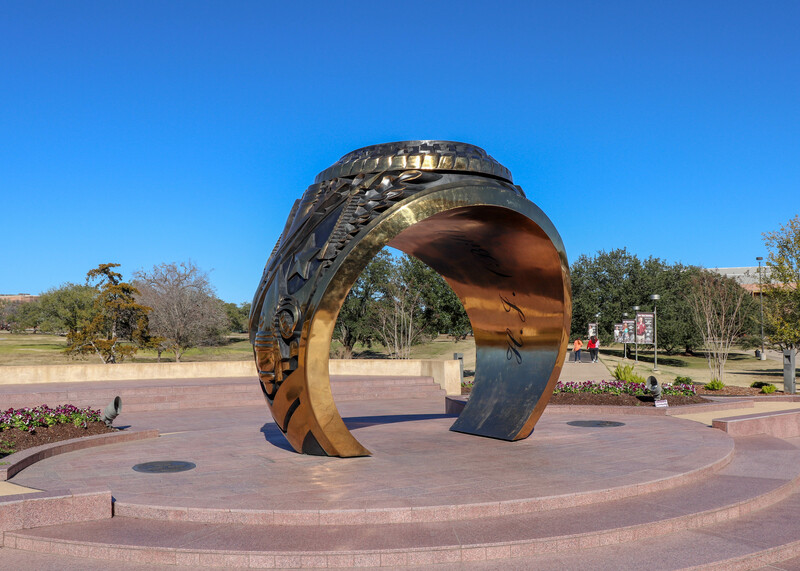 For students, “Aggie Ring Day” is one of the most notable events that they will attend during their time here, as it symbolizes the completion of a specific set of academic requirements, and induction into an exclusive network of fellow Aggies. Ring Day takes place at the Clayton W. Williams, Jr. Alumni Center, located right next to the replica ring. 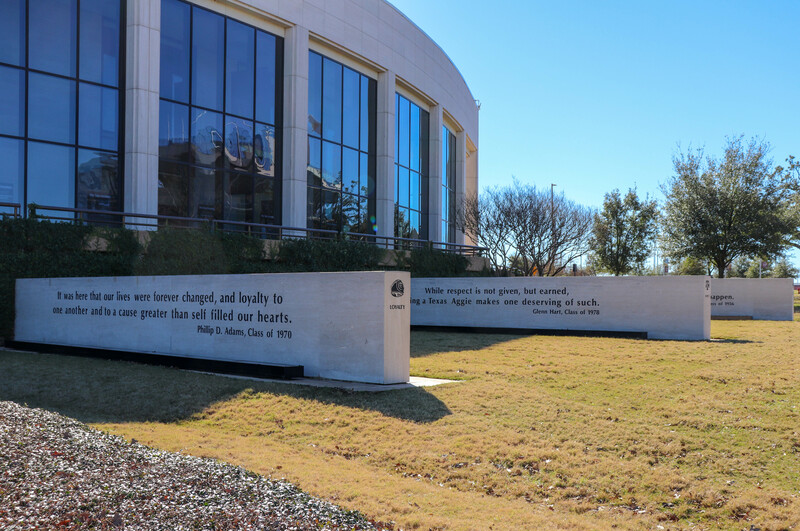 Alongside the walkway, various Aggie quotes of respect, loyalty, and honor are displayed. After getting my photo taken underneath one of the most unique outdoor artifacts I’ve seen at a university, I began checking out the various buildings that make up Aggieland. 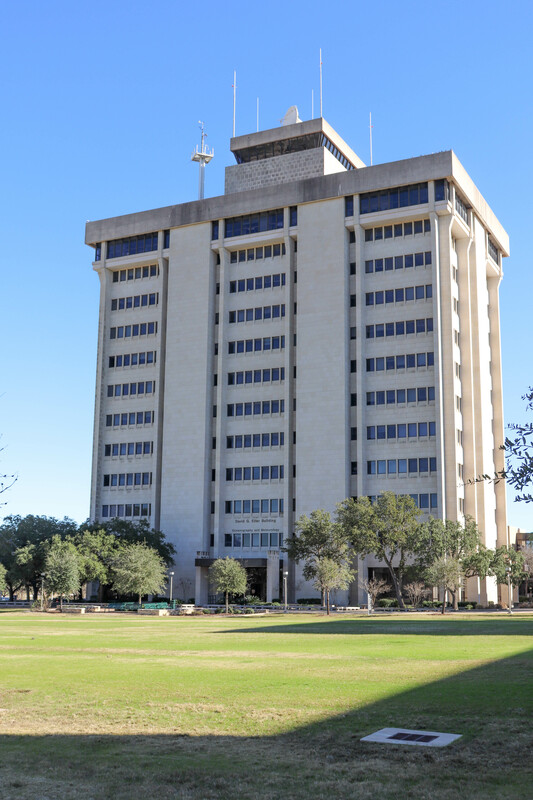 Rudder Tower, named after former university president James Earl Rudder, was one of my first stops. 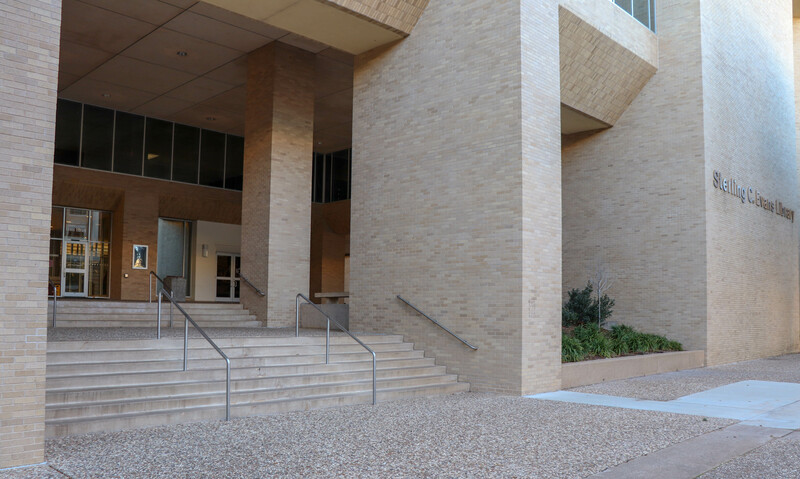 On the first floor is the Aggieland Visitor Center, where you can get maps, brochures, or go on tours of campus. A backdrop of the A&M school logo off to the side provided for a good photo op. If you are looking for a place to dine and get some good views of campus, the University Club, located on the 11th floor might just be your ideal spot. It was closed when I visited, however, according to their website they serve a buffet Monday thru Friday. It looks like a great spot to break for lunch during a weekday visit! 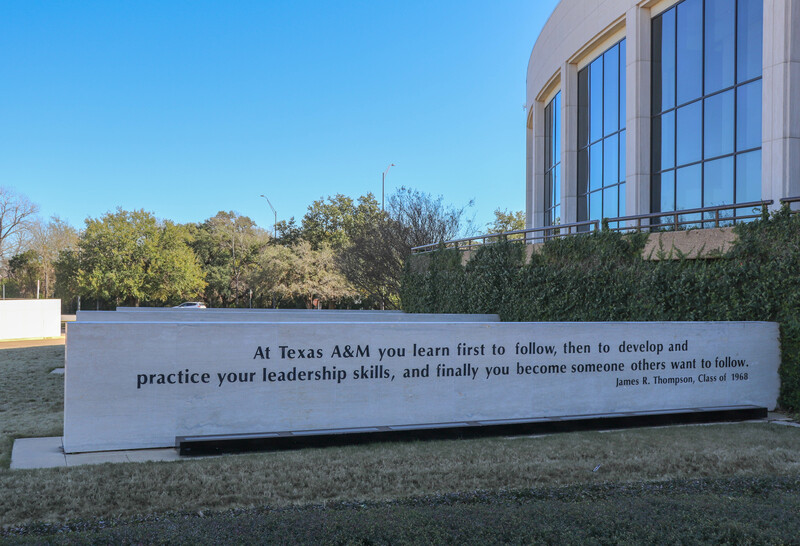 Heading further into the center of the school, I found myself on the Military Walk, one of the main walkways of A&M. Rooted in tradition, this was the spot where for years, the students making up the Corps of Cadets gathered daily. Many of these Aggies went on to become leaders in their respective fields. Descriptions of the various notable points of the school’s history were displayed on both sides of the walkway. These signs provided me with a good introduction and understanding of the history I was surrounded by. 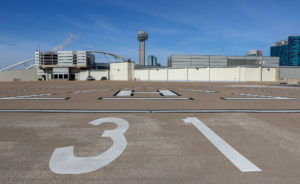 Continuing along, I decided to go check out a building that I had seen while driving in – this tall building with an airport control tower “cab” look to it at the top. After walking for around ten minutes, I finally got to it. 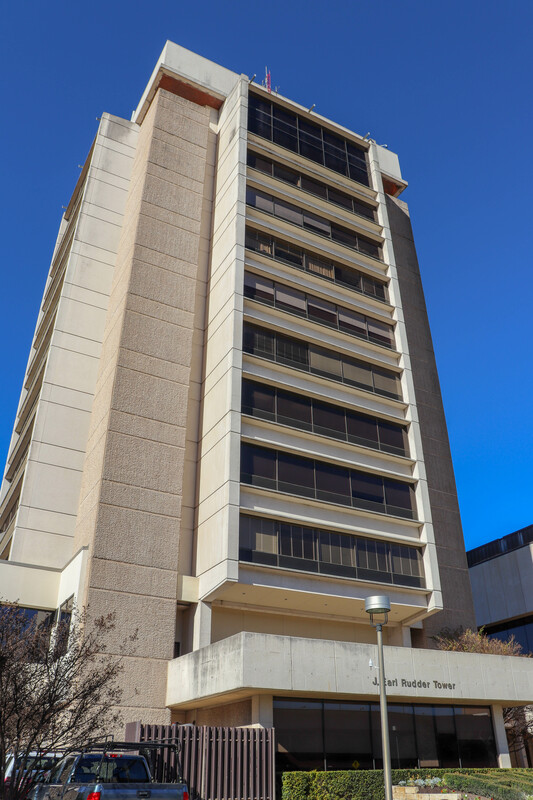 This structure was none other than the Eller Oceanography & Meteorology Building, the tallest building on campus. 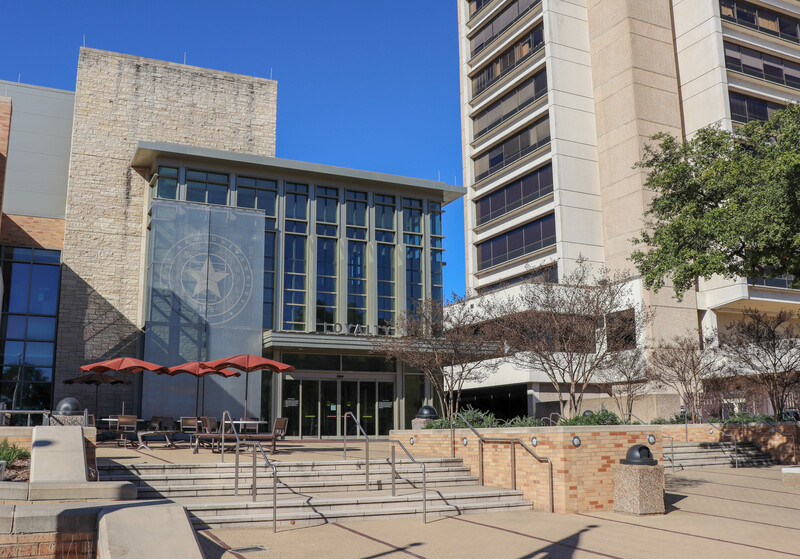 The Eller Oceanography & Meteorology Building. Although it was closed for Winter Break, this 15-story building sure has an interesting design! Upon doing some Googling back home, I discovered that a Doppler radar unit is mounted on the roof. With all those panoramic windows, it would sure be nice to see the view from the 15th floor. Speaking of architecture, that is one area A&M is lacking in. Most of the buildings can be described as being pretty bureaucratic and plain. Several pieces of public art lined the courtyards and walkways, but it wasn’t anything super special by any means. The next stop was to the Sterling C. Evans Library, one of five libraries on campus. The Sterling C. Evans Library. 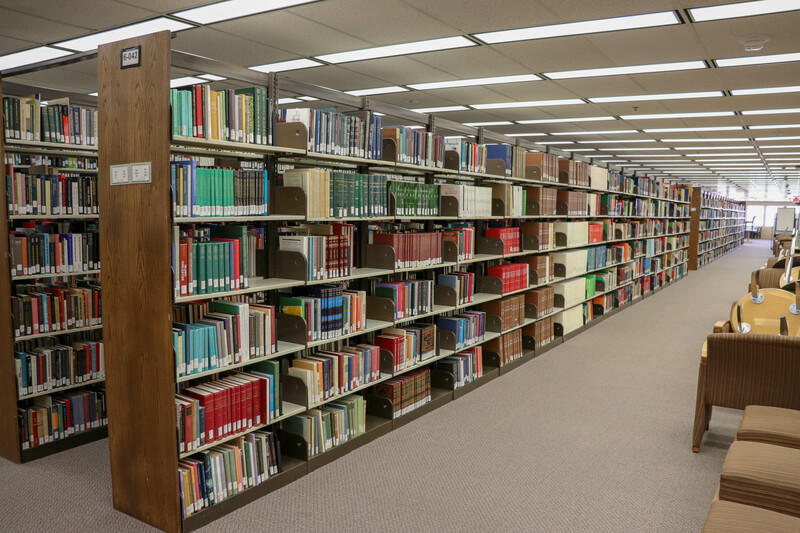 Inside, rows and rows of books lined the six different floors. If you want a good view of campus, head up to the sixth-floor graduate study lounge. 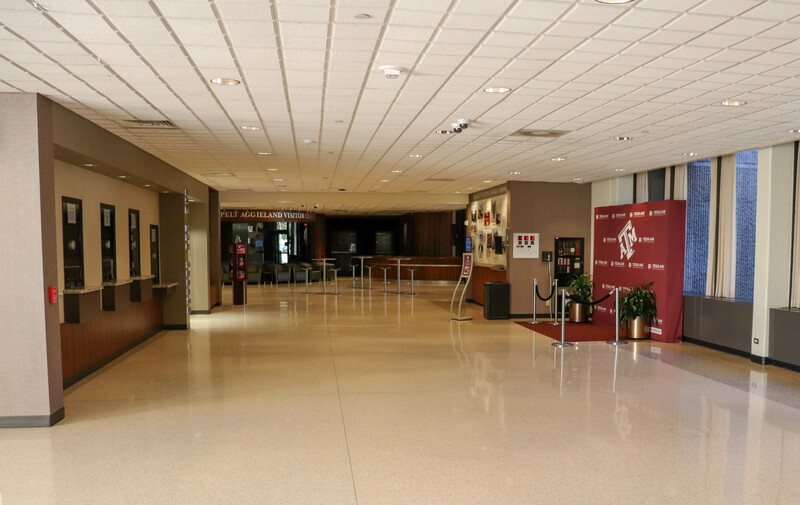 Everything here was open to the public, so visitors can waltz right on in to see the landscape of A&M. A great view of Texas A&M from the sixth floor graduate study lounge of the Evans Library! On the first floor, there was a sizeable computer/study area, which works well for research or group collaboration. 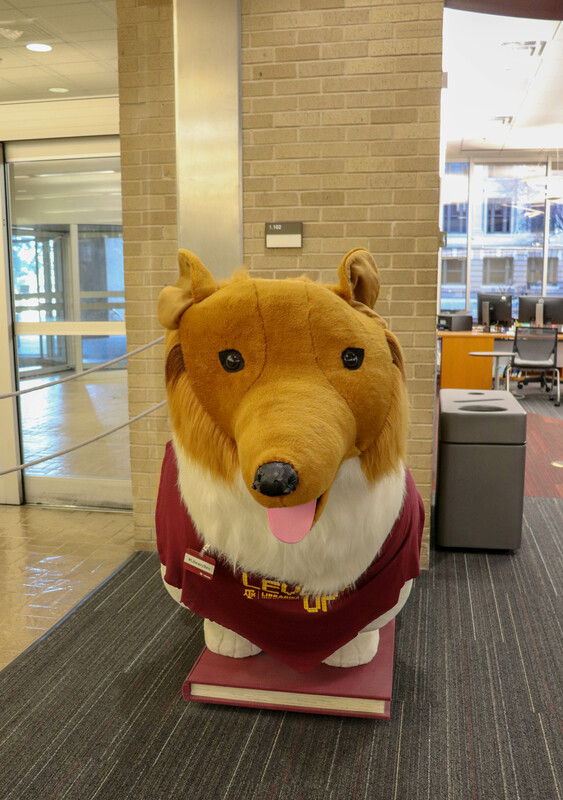 Heading out, I came across a replica of A&M’s mascot, Reveille the Dog on the first floor by the circulation desk. Reveille has served as the school mascot since the 30s, and there have been nine lucky dogs that have held this title. The Reveilles that have passed away have their own cemetery close to Kyle Field, complete with a mini-scoreboard so they can see the 12th Man outscore the visiting team! Reveille the Dog greets all who visit the library. My last stop on my way back to the car was at the Memorial Student Center, A&M’s student union. 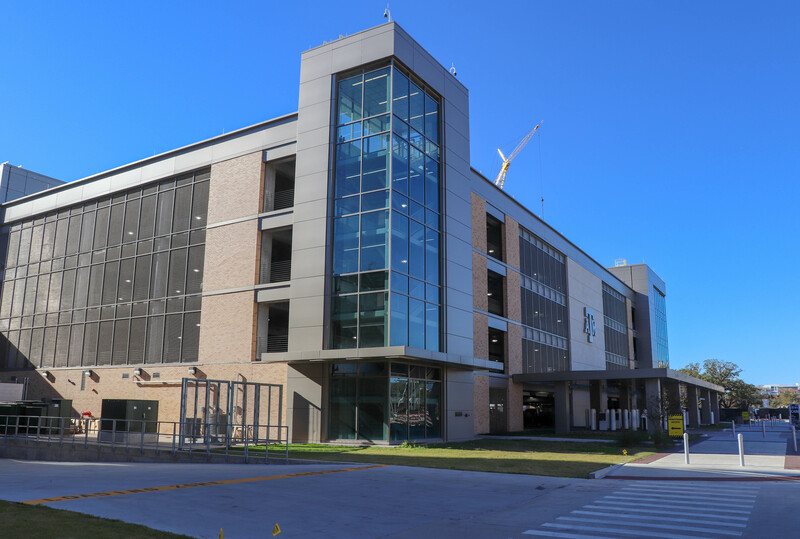 Located close to the Cain Garage and Kyle Field, this student union was one of the newer buildings on campus. 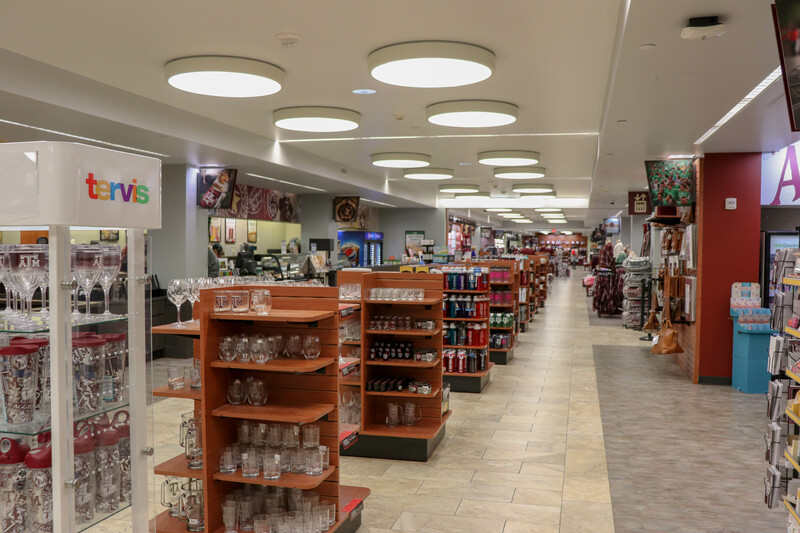 Inside, you can find everything from the bookstore to different spots to hang out. 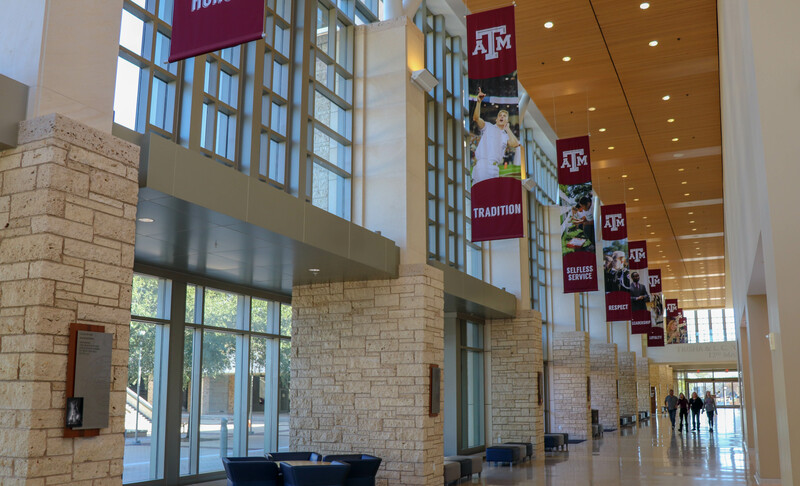 Many of the facilities inside are named after the values and traditions of the university, such as Respect Lounge and 12th Man Hall. 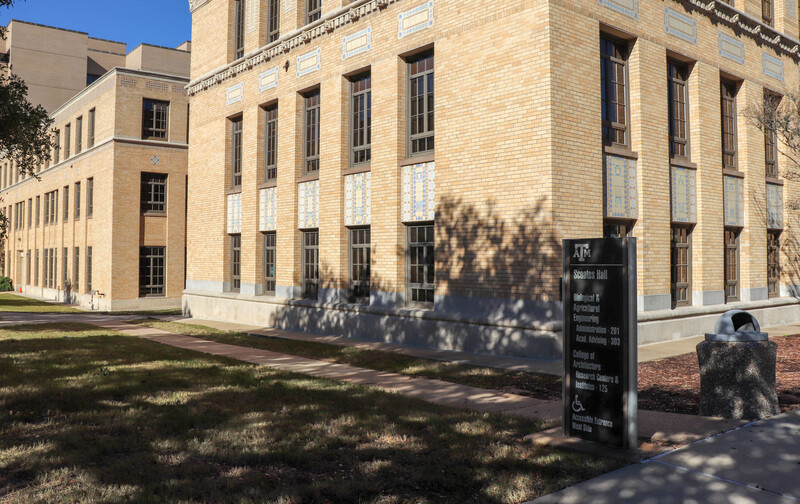 In fact, this whole building is considered a living memorial to those Aggies that gave their lives defending our nation. To that end, signs on the doors instruct visitors to remove their hats upon entering as a sign of respect. The main lobby of the Memorial Student Center. Banners overhead display the core values of the university. The Barnes and Noble bookstore inside the MSC. 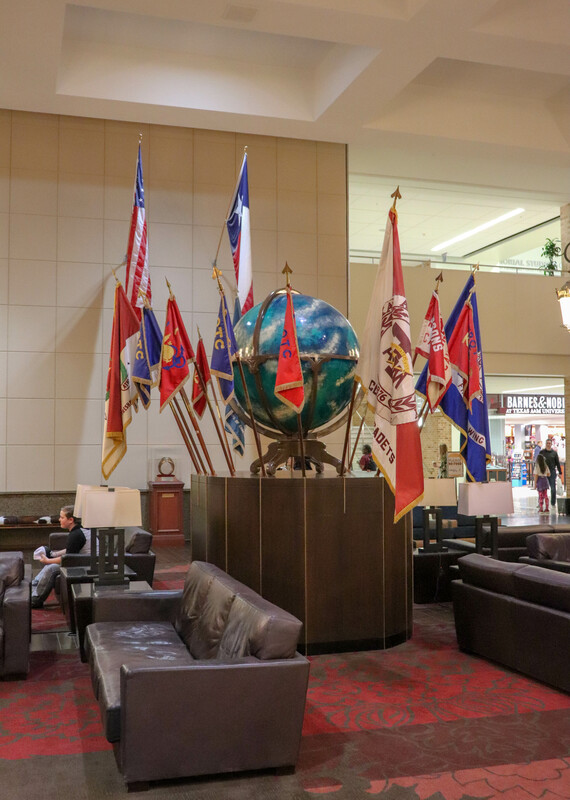 One unique spot in the MSC is The Flag Room. 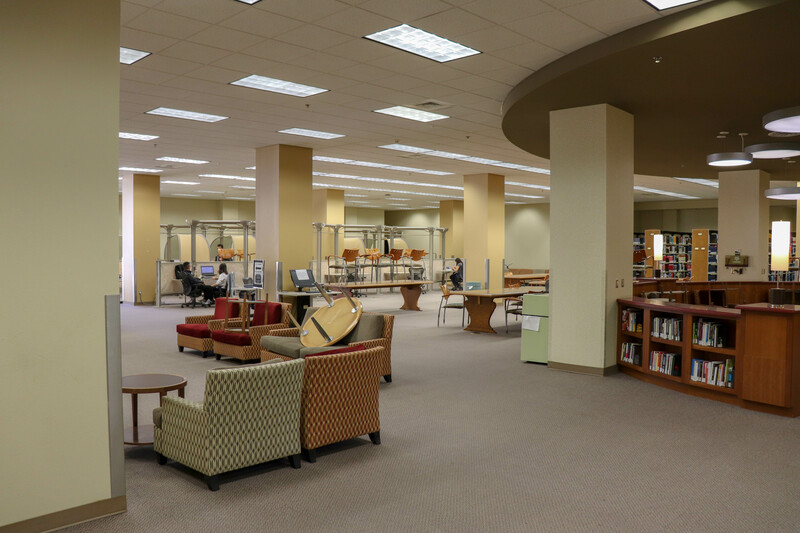 Nicknamed the “living room” of A&M, it contains sofas, tables, and even a grand piano! 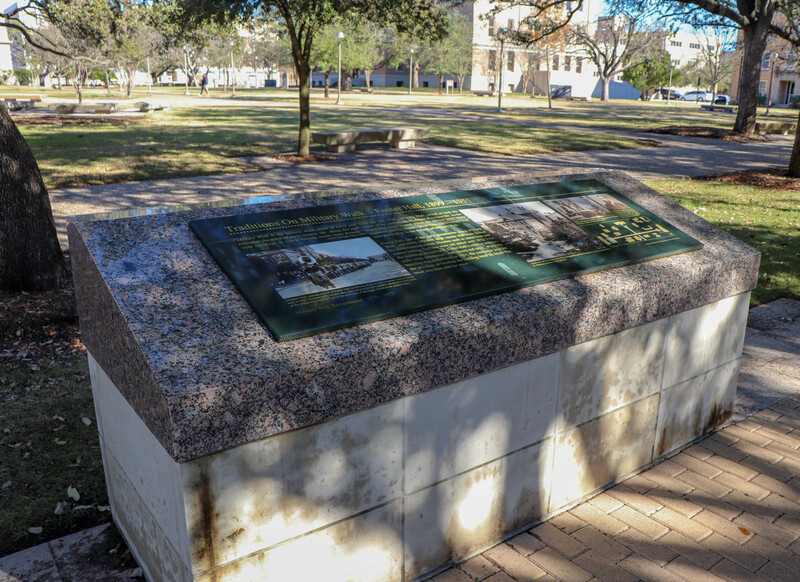 This spot is great for Aggies and visitors alike to sit down, hang out, and take in the culture of the university. 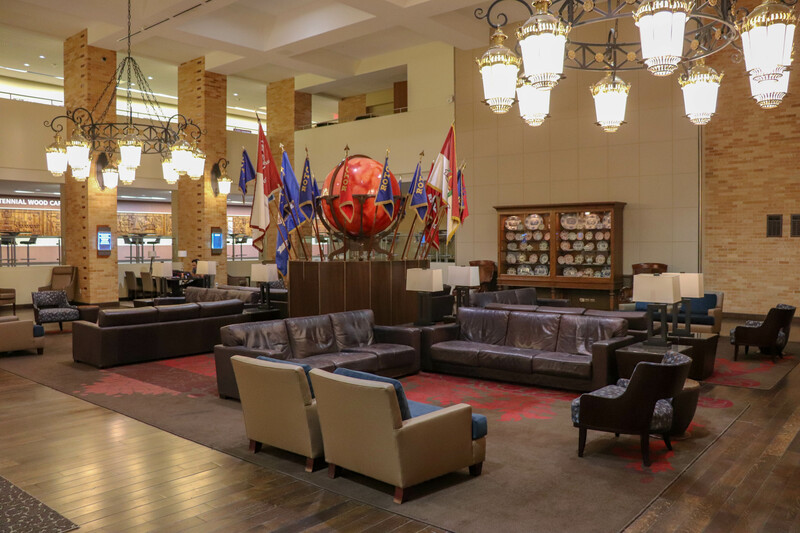 The Flag Room is one great place to take a break and experience some of A&M’s history. As the name suggests, the room contains various flags used in the history of the university, including many of those belonging to the Corps of Cadets. 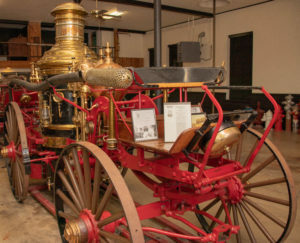 Other A&M memorabilia was displayed, making it an interesting location to congregate and learn about the history of the school! Some of the many flags displayed in the Flag Room. In conclusion, this was one nice first visit to see one of Texas’ most well-known schools, and one that has so many different customs and traditions. This campus is simply humongous, and could easily take half a day or more to see everything. With that in mind, a second trip is already in the works for when the government reopens, to visit the George H.W. Bush Presidential Library, located on the edge of campus! A lunch stop at the University Club would also be included in the itinerary. 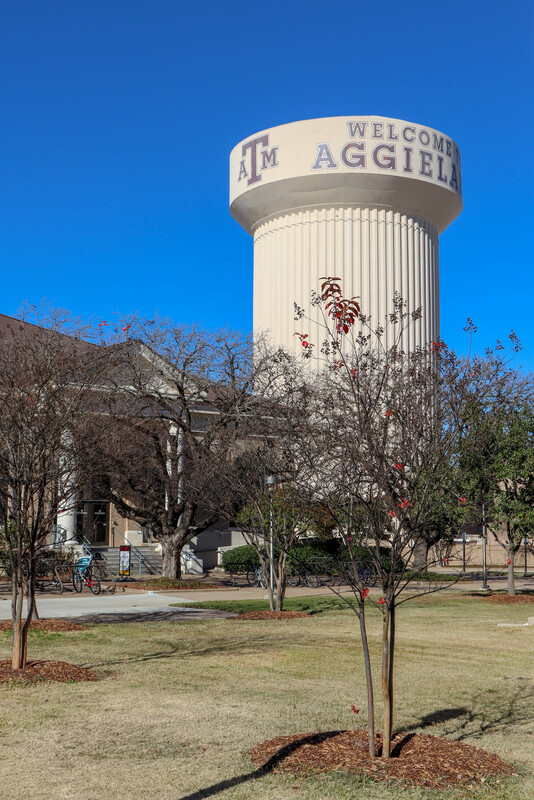 This water tower reminds you that you are in Aggieland! Love this!! 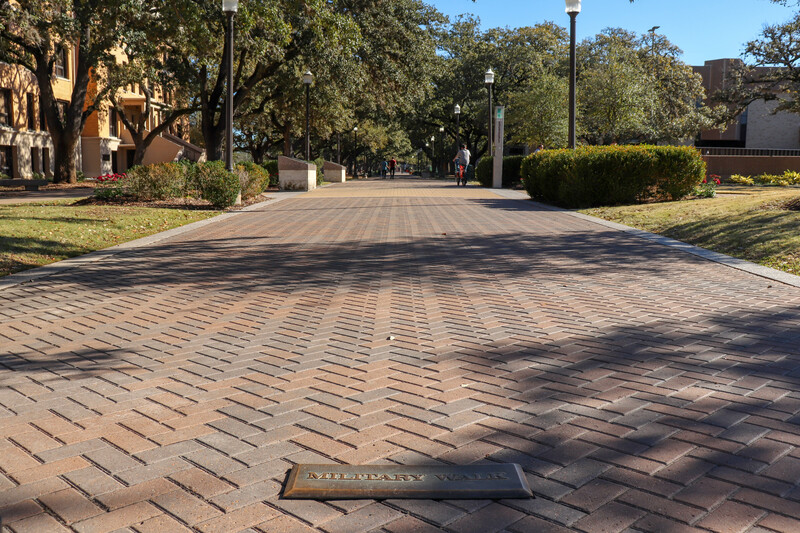 As a graduate of Texas A&M University you did a great job chronicling the campus! Thanks! Great school with lots of tradition and spirit. I will be back sometime down the road to visit the Bush Library and have lunch at the University Club.